I've been trying to minimize the amount of jewelry I wear for the sake of making a simple statement. As you guys know my motto for this year is to stay classy. A great way to do that is by applying the "less is more" motto to the way I style my outfits. For that reason I was happy to come across eFoxcity. At eFoxcity I found some of those delicate statement pieces that complete an outfit without much effort. 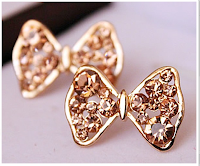 They focus on women fashion wholesale so the prices they offer are affordable. And their drop ship clothing motto stands for guaranteed fast shipping of their products. The first delicate accessory that stood out to me was this silver collar necklace, it's simply elegant. I like how the silver strands fall nicely and form a nice collar shape that flatters the neck line. 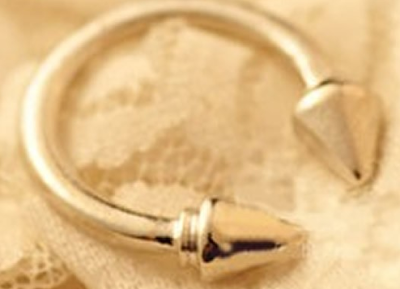 And then there were others to name a few: these champagne bow earrings and this bullet ring. 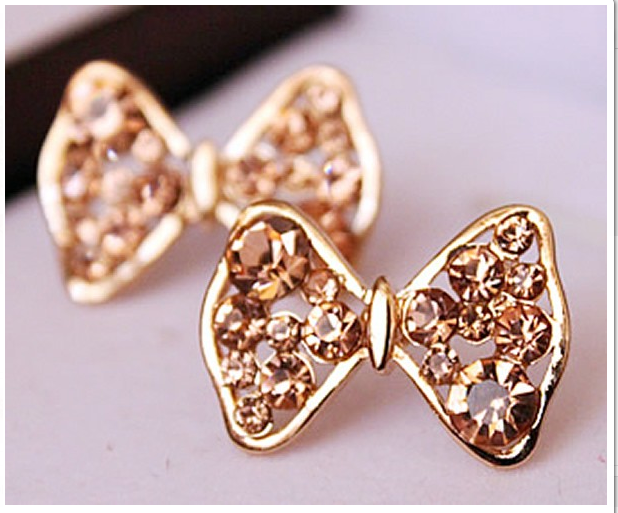 The bow earrings are delicate enough to add a feminine touch to any simple look. And the bullet ring would be a perfect addition to stacking rings in your hands, on those days when you feel like bringing a punk vibe to your outfit. In addition, the company sells fashionable clothing items including wedding dresses under $100 - which I was very surprised about. But hey markets are changing and anything and everything can be found online these days. 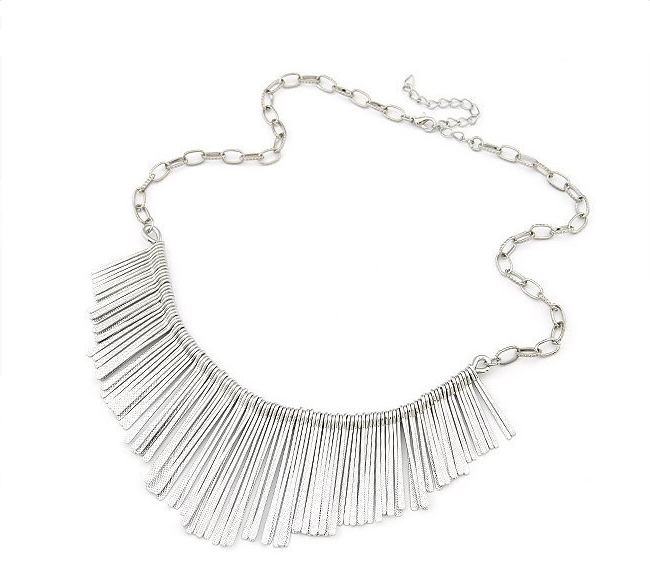 Do you agree about making simple statements with your jewelry?